Roaring Brook Press, 9781626720848, 240pp. John Taliaferro Thompson had a mission: to develop a lightweight, fast-firing weapon that would help Americans win on the battlefield. His Thompson submachine gun could deliver a hundred bullets in a matter of seconds—but didn't find a market in the U.S. military. 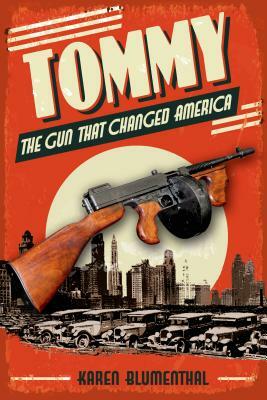 Instead, the Tommy gun became the weapon of choice for a generation of bootleggers and bank-robbing outlaws, and became a deadly American icon. Following a bloody decade—and eighty years before the mass shootings of our own time—Congress moved to take this weapon off the streets, igniting a national debate about gun control. Critically-acclaimed author Karen Blumenthal tells the fascinating story of this famous and deadly weapon—of the lives it changed, the debate it sparked, and the unprecedented response it inspired.